"In many ways the story of the Institute says a lot about the development of the village over the last 40 years. The Institute represented what we know of "old" Markfield and just as Markfield has changed so much so has the Institute and its position within the community. Today the Institute is sadly closed and beyond economic repair, there are no working mines in Leicestershire and Markfield has a purpose built community centre which is being expanded to take account of a much bigger but still thriving village". So goes the foreword by Councillor Matthew Lay to the Markfield Local History Group's 2008 booklet "A last look at the Institute"
The Institute began as an outbuilding to a farm when in the early 1920's builder Edward Chapman and plumber William Geary bought the site in Main Street for a picture-house (cinema). The first films were silent and the projector was turned by hand, but it was a sensation at the time! Films continued until the 1950s, but with increasing competition from newer cinemas. At this time in the early 1920s, villagers wishing to commemorate those who had given their lives in the First World War decided to have a memorial hall rather than a village war memorial. A fund was set up, but not enough money could be raised. Eventually an amalgamation with the Miners' Welfare enabled the villagers to buy the picture-house and adjacent land, which became the Memorial and Miners Welfare Institute in 1925. Extensions were added in 1928 - 1929, funded by Mrs Lillingstone of Ulverscroft Cottage. She also paid to install water and electricity and gave playing fields to commemorate the death of her son Captain Luke Lillingstone who was killed commanding a tank in the Western Desert in 1944. This generosity is marked by the naming of the nearby Lillingstone Close and Park Avenue. Many activities were held there over the years. 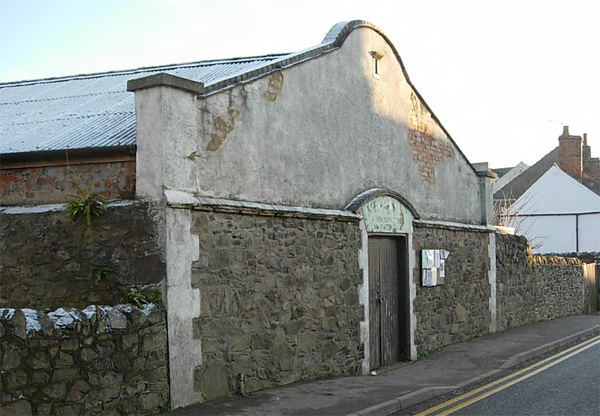 These included the Women's Institute, adult education classes, the St Michael's Church Sunday School, a Children's Hour, Christmas Fair, church fairs, a youth disco, dances, parties, Saturday dances and Home Guard meetings during the Second World War, wedding receptions, an annual produce show, a children's welfare clinic and public meetings on topics of the day. It was used as a polling station at election times. The Welcome Club met every week for 48 years, from 1952 to 2000. At its height over 100 members enjoyed the weekly meetings together with parties, dinners, outings and holidays. A drama society was present for many years, with memories of pre-war plays. The present day Markfield and Thornton Theatre Group staged its first play at the Institute in 1967. In later years the group moved to South Charnwood School and then to its present home in Thornton. The Leicester Morrismen held their private Feast at the Institute for 25 years from the 1970s, on the first Saturday of February. The roof would resound to the choruses of folk songs, instruments and Morris sticks. Much food and beer was drunk!! When the new Community Centre opened in 1987, the Institute gradually fell into decline and eventually closed in the early years of the new century. It was demolished in 2018 and houses will be built on the site. A new village war memorial was made and dedicated in 2014, by the Parish Church on the Top Green. This article is based on the Markfield Local History Group 2008 publication "A last look at the Institute"